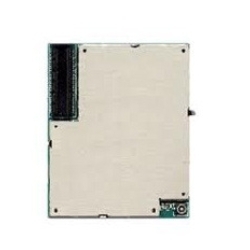 SIM 300 S / 340 S GPRS Module is a complete Dual-band/Quad-band GSM/GPRS solution in a module which can be embedded in the customer applications. Featuring an industry-standard interface, the SIM 300 S / 340 S GPRS Module delivers Dual-band GSM 900 / 1800 MHz or Quad-band GSM 850 / 900 / 1800 / 1900 MHz performance for voice, SMS, Data, and Fax in a small form factor and with low power consumption. The leading features of SIM300S/SIM340S make it ideal for applications such as WLL applications and handheld devices. 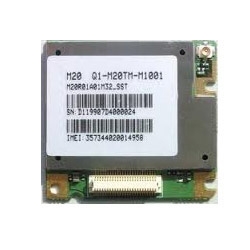 The M-20 GPRS Module is a complete quad-band gsm/gprs solution in a b2b connector type which can be embedded in customer application, offering the highest reliability and robustness. Featuring an industry-standard interface, the m 20 delivers gsm/gprs 850/900/1800/1900 mhz performance for voice, sms, data, and fax in a small form factor with extremely low power consumption. With a tiny configuration of 35 mm x 32. 5 mm x 2. 95 mm, M-20 GPRS Module can fit into almost all the m2m applications, including vts, smart metering, wireless pos, security, etc. 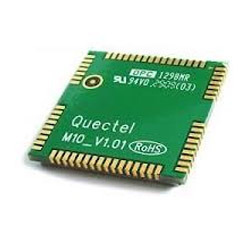 The M-16 GPRS Module is a complete quad-band gsm/gprs solution in a zif connector type which can be embedded in customer application, offering the highest reliability and robustness. Featuring an industry-standard interface, the m 16 delivers gsm/gprs 850/900/1800/1900 mhz performance for voice, sms, data, and fax in a form factor with extremely low power consumption. With a configuration of 54.5 mm x 36 mm x 4.5 mm, M-16 can fit into almost all the M2M applications, including vts, smart metering, wireless pos, security, etc. 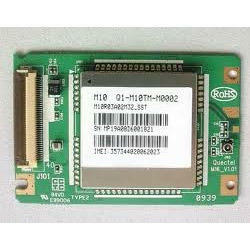 The M-10 GPRS Module is a complete quad-band gsm/gprs solution in an smd type which can be embedded in customer applications. Featuring an industry-standard interface, the m10 delivers gsm/gprs 850/900/1800/1900 mhz performance for voice, sms, data, and fax in a small form factor and with low power consumption. With a tiny configuration of 29 mm x 29 mm x 3.6 mm (the thickness of pcb is 1.6 mm), m 10 can fit almost all the space requirements in your industrial application, such as 2 m, telemetry and other mobile data communication systems. The M10 is a complete Quad-band GSM/GPRS solution in an LCC type which can be embedded in customer applications, offering the highest reliability and robustness. Featuring an industry-standard interface and extremely low power consumption, the M10 delivers GSM/GPRS 850/900/1800/1900MHz performance for voice, SMS, Data, and Fax in a small form factor. The M10 can fit into almost all the M2M applications, including VTS, Smart Metering, Wireless POS, Security, etc. M10 supports an important remote upgrade technology which named QuecFOTA. 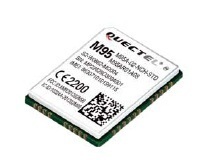 With the unique Quectel protocol, the new firmware of M10 will be perfectly updated by MCU via UART, and this can greatly solve the worries for M2M applications. 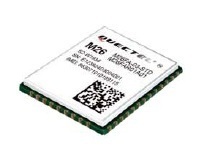 M35 is one of the smallest Quad-band GSM/GPRS modules in LCC castellation packaging with the compact size of 19.9 × 23.6 × 2.65mm, ultra low power consumption and extended temperature range. With surface mounted technology, the low profile and small size of LCC package makes M35 easily embedded into the low-volume applications and ensures the reliable connectivity with the applications. This kind of package is ideally suited for large-scale manufacturing which has the strict requirements for cost and efficiency. Its tiny size and ultra low power consumption makes M35 a very cost effective and feature-rich platform that is quite suitable for a wide range of M2M applications such as VTS, Industry PDA, Personal Tracking, Wireless POS, Smart Metering and many other M2M applications. 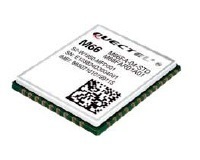 M66 is currently the smallest Quad-band GSM/GPRS module using LCC castellation packaging on the market. Based on the latest 2G chipset, it has the optimal performance in SMS & Data transmission and audio service even in harsh environment. Its ultra-compact 15.8 × 17.7 × 2.3mm profile makes M66 a perfect platform for size sensitive applications. M66 adopts surface mounted technology, making it the ideal solution for durable and rugged designs. And its low profile and small size of LCC package ensure M66 easily embedded into the low-volume applications and provide the reliable connectivity with the applications. This kind of package is ideally suited for large-scale manufacturing which has the strict requirements for cost and efficiency. Its compact form factor, low power consumption and extended temperature make M66 the best choice for applications such as wearable devices, automotive, industrial PDA, personal tracking, wireless POS, smart metering, telematics and other M2M applications. Supply Voltage Range 3.3~4.6V 4.0V Typ. 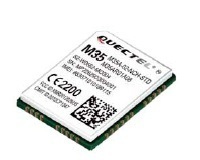 Looking for Quectel GSM GPRS Module ?